Many barbiturates are prescription drugs and can be obtained legally. As is the case with most substances with similar effects, barbiturates see illegal use and abuse throughout the United States. Barbiturate abuse peaked in the 1970s and has been in significant decline since, but it has not disappeared completely. Barbiturates remain a dangerous class of drug when used improperly. According to the Substance Abuse and Mental Health Services Administration (SAMHSA), nearly 3 million people in the United States reported using barbiturates for a nonmedical purpose in 2014 alone. It’s clear that barbiturate abuse remains a problem in the US despite its decline in the last four-plus decades. Barbiturates are addictive, and prolonged use can result in a physical addiction to these drugs. Barbiturates are especially dangerous in regard to accidental overdose because a person often develops a tolerance to the mood-altering effects of a drug much more quickly than they do to the lethal effects, according to the U.S. National Library of Medicine. This means that a person with an increased tolerance will often seek a higher dosage in order to produce the desired mental effects, which puts them at a high risk for overdose. Women are more likely to overdose on barbiturates than men, as they receive more prescriptions for these drugs. This is because women are generally more likely to seek medical help regarding issues with depression and anxiety. 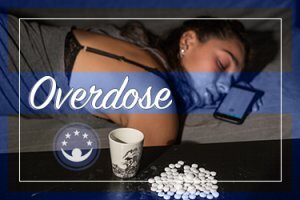 In the event that someone suspects a barbiturate or mixed overdose involving barbiturates, they should contact 911 immediately, especially in the event of any breathing problems. The presence of medical professionals on the scene can improve the chances of surviving the overdose, which can be deadly. Even after the physical dependence on barbiturates is overcome, the addiction remains. This is more of a mental addiction to the substance that is accompanied by negative thinking and patterns of behavior. One of the most common forms of therapy to combat these factors is Cognitive Behavioral Therapy (CBT), according to the U.S. National Library of Medicine. CBT examines the connection between feelings, thoughts, and behaviors, and how they influence each other. Changing beliefs that may lead to distressing thoughts is a key component of CBT. Thought patterns can become dangerous and result in triggers to use. CBT’s goal is to help people develop coping mechanisms for these occurrences and replace their old way of thinking with a new, healthier form.